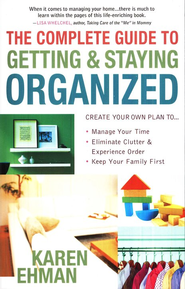 The Best Organizing Books - Home Organize It! Just a mere ten years ago there were only a handful of organizing books to choose from. Fast forward to today and WOW! There are literally hundreds of organizing books. So how do you decide which one is right for you? Lucky for you, I have read dozens of the latest organizing books (required reading for an Organizer!) and have selected a few of the best to tell you about and to help save you time and money. You'll find a range of home organizing books, including one on Home Schooling and even one for teens. If you would like to read more about a particular book, please use the handy Search Tool at the bottom of this page. Just copy and paste the book title into the box and click Search. What's Your Favorite Organizing Book? 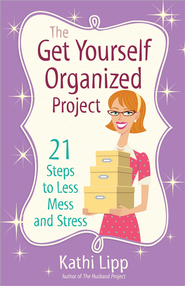 Have you read a really great book about getting organized? Or maybe one on simplifying or decluttering. Share your thoughts about the book here and help others decide which book they should read. Do you have a picture you'd like to add? Great! Click the button and find it on your computer. Then select it. Everybody has a different ways that they are wired, which in turn effects how you organize things and live your daily life. Ehman hits on the different ways that people process and how you can be most effective when it comes to your personality and organizing/planning. This is a great book and I would encourage you to read it if you are looking for some wisdom that is based upon a strong foundation, then this is a book for you. Happy reading. We all have this desire and sometimes envy to have more. What we have could always be overshadowed by something more. In his book “Enough” Will Davis Jr. challenges you to find peace that comes with being content with what you have as well as having compassion on those in need. 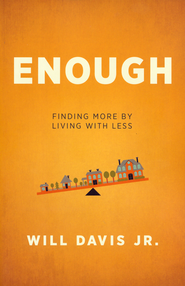 In “Enough” Davis backs his writings up with stats, real-life stories, and scriptural backing to authenticate that it truly is so much more life-giving to live with less and live wisely with your finances so that you can be more and do more with your lives. When you work hard and live content with what you have within your means, than you will always have enough. If you follow these 4 P’s of organization, then you are well on your way to 365 ways to organize everything. Even with this small showing of their book, “365 Ways to Organize Everything” is an incredibly practical book that will help you get your head straight and equip with plenty of ideas and steps so that you can get your life organized and disciplined. If you are the go-getter mom, then this is the book for you. Kathi does not leave anything untouched in her book “The Get Yourself Organized Project.” For the mom who wants to get things done and done right, Lipp fills her book with a list of projects in each room of the house with great information on how to tackle all the rooms with efficiency and with tact. She makes this book simple, even if you think that you can’t get organized, she makes it easy to follow and very practical so that even the most discombobulated soul can get organized. As seen on the back cover, it states, “With Kathi’s encouraging voice and easy-to-follow advice, The Get Yourself Organized Project is the girlfriend’s guide you’ve been looking for. Stand in line at the grocery or discount store and you see lots of magazines and periodicals. Disregarding the unbelievable headlines, you will more than likely see any number of articles about getting organized. But, if you are looking for a magazine whose entire focus is on organizing and simplifying, try Real Simple Magazine. You'll find systems for reducing clutter, saving time, and reducing stress. Inspiring ideas about home, food, money, clothes, health, work, family, and holidays abound. Although Real Simple tends to focus on "designer-like" solutions, it is very easy to take their innovative ideas and incorporate them frugally. That's it for now. I don't want to overwhelm you with too many choices when the goal is to just get started on your organizing. I will update this page periodically as new, quality organizing books are published. Use this handy Search Tool to help you find the best organizing books for you. Just copy and paste one of the above book titles (or another one you've heard about) into the box and click Search. Happy reading! Return From The Best Organizing Books To Home Organize It!